Let the excitement grip your senses as you embark on an adventure tour in India! Rishikesh: Rishikesh is the best haunt for adventure sport lovers as it is here the thrill is experienced as its best while venturing into the lap of nature! 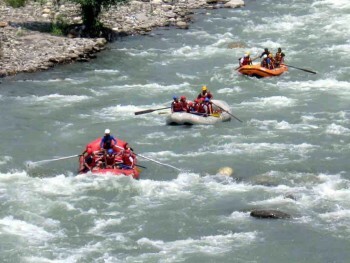 River rafting is the most popular adventure sport in Rishikesh. One can feel the fresh water splashing on his/her face while winning over the difficult and challenging waves of the streams of river Ganges. 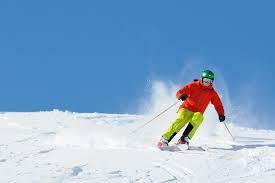 Auli: Auli is one of the best places in India known for skiing. The plain stretch of pure white snow along with being so beautiful to look at is an equally sought after adventure sport destination as it is ideal for skiing. A plus point is that wind velocity is also not too much here due to presence of woods on slopes. 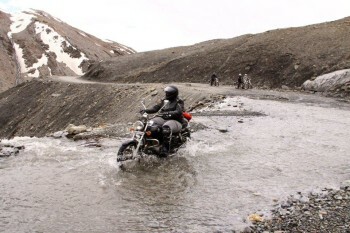 Leh Ladakh: Leh Ladakh tour is a heaven for thrill seekers as the sports here require a lot of physical strength and there are some places which are very hard to conquer. There are various trekking routes which can be tried out and there are routes for beginners as well. Mountaineering is another adventure sport Leh Ladakh is extremely popular for as it tucked in between the mighty Himalayas. You will be requiring permission from the concerned authorities before going for mountaineering on any of the peaks in Leh Ladakh. Western Ghats: Western ghats is famous for its lush forest cover and wildlife species but one more thing that can make a tour to western ghats really exciting would be the rappelling experience here! It is an amazing pointer to place in your itinerary. You descend down a cliff with (sometimes) a waterfall pushing you even downwards, that’s rappelling. For people who would love to do something different, this is it! And as we mentioned that Western Ghats is blessed with a great biodiversity so a wild safari is something not to be missed out on. 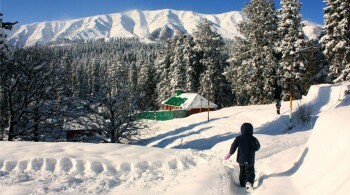 Gulmarg: Being present in the Kashmir Valley, this place is one where the British officials, royals, top statesmen and everyone else planned summer sojourn to escape from the scorching heat of winters but this is not it. 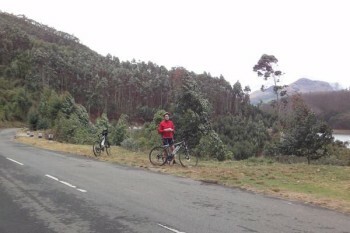 Now it has developed as a perfect destination for the adrenaline junkies as hiking and trekking are popular sports here. Lakshadweep: Scuba diving sport experience in the deep blue waters of Arabian Sea at Lakshadweep Islands is like nowhere else. You get to see the amazing underwater biodiversity which will give you a feeling that you are touring an underwater city. Also one interesting thing is that the ship wrecks in the scuba diving spots of Lakshadweep islands date back to World War II which can interest the history diggers and oceanographers for sure! Gracy Chawla is a dedicated travel writer. She wrote several articles on India travel where you can find the best India tour operators that help to match your travel preferences. She is a travel freak and loves to share her experiences through blogging.